In 1999, Alan Brady, better known as, DJ ALLI B, started his journey to becoming a professional club and event DJ. What started off as a hobby; dj-ing at school events and teenage discos soon developed into a legitimate business. Within months, he was dj-ing regularly at local parties and events. By his mid teens, he specialised in weddings and twenty-first birthday parties along with regular bar gigs all around his native county Cavan and surrounding counties. From this array of work, Alli perfected his ability to read the crowd and adjust the music acorrdingly. It was this unique skill that later enabled Alli to hold down disco bar residencies for years at a time. By his early twenties, Alli progressed into the northeast and midlands nightclub scene, holding weekend residencies in clubs such as Club Revival Oldcastle, Solar Nightclub Navan as well as Buck Mulligan’s Nightclub in Athboy. Buck Mulligans was a huge stepping stone in Alli’s career. During his time as resident DJ, he played at the famous ‘Junior Bucks’ teenage disco attended by literally thousands of teens bi-weekly. On top of that, the venue hosted a large number of debs annually along with all the main college mystery tours and events. These events were attended by age groups spanning across the board allowing Alli to further sharpen his crowd reading and communication skills. Alli was a bit of an entrepreneur as well as a DJ in his early days. He owned a car accessory shop in which he enjoyed several very successful years within the trade. He sold this business to allow himself to dedicate more time to his new projects – a sign making company and a nightclub promotion company, both of which he founded himself. Whilst Alli enjoyed forming and operating these businesses, he always knew that DJ-ing was his passion. By his mid twenties Alli decided to dedicate his entire attention on being a full time nightclub and event DJ. Alli put every ounce of energy he had into promoting himself. No stone was left unturned as he tried to generate new opportunities nationwide. 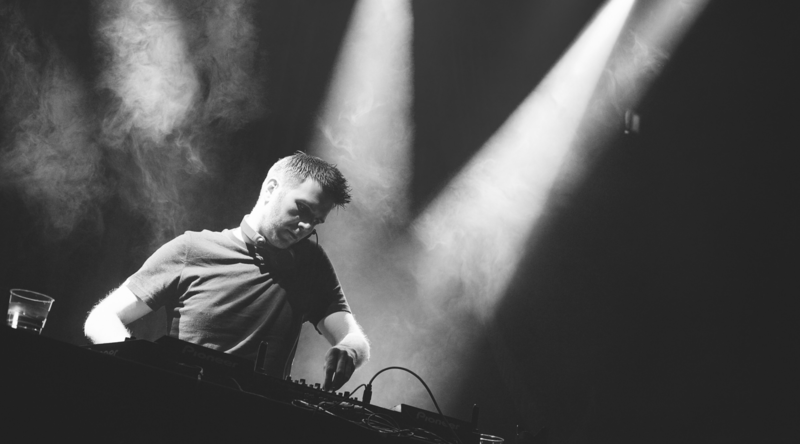 It was a long process, but gradually, he began to gain guest DJ gigs around the country and soon aquired weekly residencies in renowned clubs such as The Palace Nightclub in Navan and Q Nightclub in Athlone. 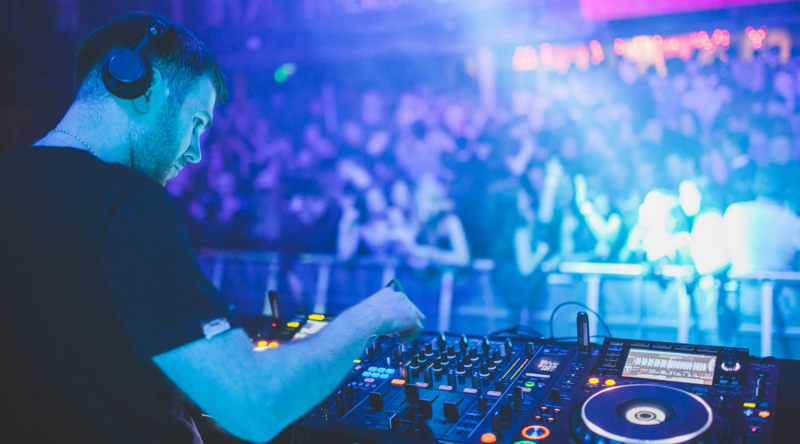 In recent years Alli has proved himself as one of Ireland’s and the UKs busiest nightclub and event DJs, working five to seven nights every week. He has worked with some of the most prominent student club night brands such as “Messy Mondays”, “Juicy Wednesdays” and “Choosedays”. 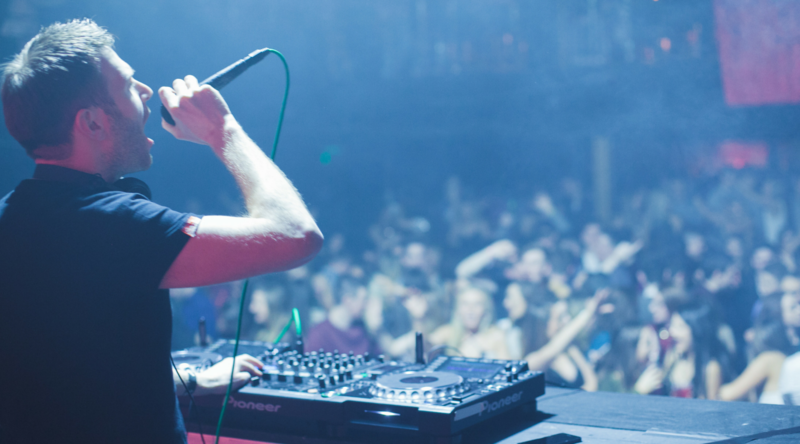 Alli has played many high profile corporate events and functions, college balls and festivals, with the most notable being Electric Picnic’s Silent Disco. Currently Alli spends his Saturday nights moving around the country, playing different clubs every week. This has allowed him to play in an impressive list of clubs such as The Stores Wexford, Spy Monaghan, The Wright Venue Dublin and Sallys of Omagh to name but a few. Alli holds all year round residencies in clubs such as the world famous Copper Face Jacks in Dublin, The Palace in Navan and The Palace in Tullamore along with seasonal residencies in Galway, Athlone and Dundalk. Alli describes his current DJ sets as ‘the same as they have always have been, commercial and open format. The key is to play to your crowd. I play music that they know, music that they can dance and sing along to.’ He adjusts his choice of genre and tempo to suit the crowd on front of him. 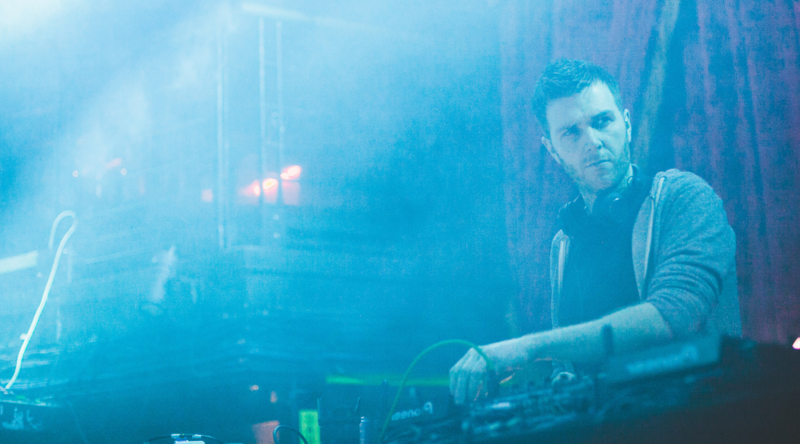 All his sets are performed on CDJs, he mixes and scratches live together with MC-ing where needed. His tracks are selected as he performs; this flexibility in his sets ensures that Alli will always have a full dancefloor with an electric atmosphere! One of our favourite resident DJs who gets the dance floor going every week with all the hottest tracks and his quality mixing! Looking for a top DJ?